"May You Live Until 120..."
Every second of life, from the moment of conception until the completion of one's years in this world, is a gift from G‑d. It is a gift that must not be squandered. Indeed every single day, Jews ask G‑d in prayer that one's life be filled with days that are meaningful, healthy, and truly complete in the eyes of G‑d. 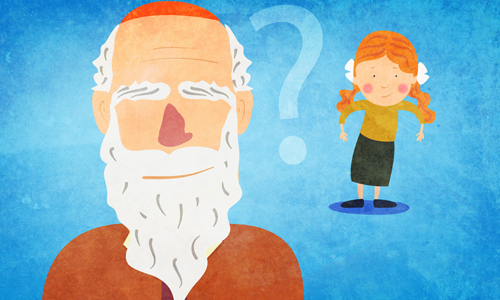 It is common among Jews to wish another to live "until 120." This is because the Torah tells us that "Moses was 120 years old when he died" (Deuteronomy 34:7), and his life was deemed perfect and complete. Other leaders who lived until the age of 120, include Hillel, Rabbi Yochanan Ben Zakai, Rabbi Akivah, and Rabbi Yehudah Hanassi. Each were giants in their time. Judaism urges that one never tire of life. Instead, one must look forward to each additional year with anticipation, excitement, and determination to make the most of every opportunity at every stage of life. Once again, look at Moses. He grew up a prince in the house of Pharoah. Yet G‑d did not tell him to take the Children of Israel out of Egypt until he was 80! It is a positive commandment for every Jew to live as long as possible, as the Torah states, "Preserve yourself and your soul diligently" (Deuteronomy 4:9). The practical inference is that one must strive to live and one may not allow one's health to deteriorat e or deliberately injure the body. 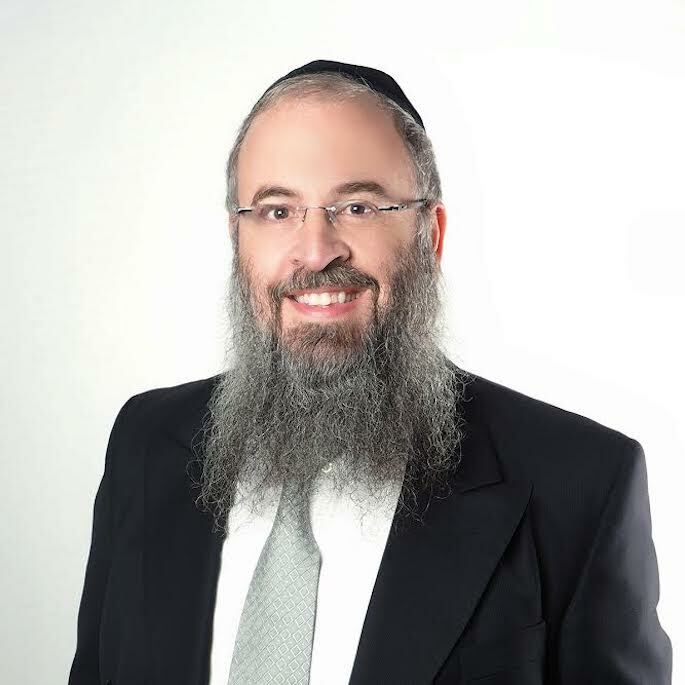 According to the Torah, a person who has fallen ill must actively seek the best medical help for his or her condition; one cannot simply rely on a miracle. At the same time, one should pray and petition G‑d for a complete and speedy recovery. Healing ultimately comes from G‑d. But for reasons best known to Him, G‑d has determined that we typically have to draw His healing down through an expert or intermediary. Indeed, our sages taught that the entire field of medical science and its many practitioners are but vessels for G‑d's blessings in this world. The practice of medicine is so important that the Code of Jewish Law states, "the physician's right to heal is a religious duty." In essence, the doctor "partners" with G‑d in restoring health, and his part of the partnership is solely the restoration of the person's health. The actual fate of the person is left to G‑d and the Heavenly Court. Therefore, doctors cannot say that so-and-so only has a number of months to live, nor should a person accept such a prediction. Drawn from the advice of our sages: Find a good doctor and follow his instructions. Dispel any thoughts about illness. Think only healthy thoughts. Strengthen your confidence in the Healer of All Flesh that He will heal you in whatever way He sees fit. And increase your study of the esoteric parts of Torah. In seeking a cure, a person should work on both material and spiritual aspects. The material aspect includes finding the best medical help and following the treatments prescribed. But there are a number of things that one can do spiritually to improve the situation. For example, the prayers of an ill person can be very effective, and thus one should never despair. Even if to all mortal eyes there appears to be no hope, nothing is impossible for G‑d. In addition to prayer, one should increase his or her study of Torah, and performance of mitzvot. This may include giving additional charity, taking on a new mitzva observance, and so on. Some request that a Tzaddik (great Torah sage; righteous person) bless them or pray on their behalf, for we are taught that the prayers of a Tzaddik are readily accepted by G‑d. As mentioned above, the Torah states, "Preserve yourself and your soul diligently" (Deuteronomy 4:9). This indicates that one must take care of the soul just as one must look after one's physical well-being, otherwise the Torah would have simply stated "preserve yourself." Kabbalah teaches that illness comes when the passageways through which the soul radiates are "clogged." Clear the blockage, explains Kabbalah, and the illness will disappear. Teshuva, meaning return and repentance, can help in this regard. For this reason, Jewish Law states that when one is ill, one should check his ways. If a person's thought, speech and deed are not all that they could be, the person should feel regret over the past and resolve to do better in the future. The person should take on specific deeds that demonstrate one's resolve to improve his or her conduct. As a part of increasing Torah observance and repairing spiritual defects, it is customary to have an expert scribe examine the Tefillin (phylacteries) and Mezuzot (parchment scrolls placed on doorposts of Jewish homes and businesses) of the person who is ill. If they are found to be defective, they are corrected at this time. Indeed, there are countless stories linking the kosher status of one's Tefillin and Mezuzot to the physical state of those around them. For example, a young man was having serious trouble with his heart and his doctors were very concerned. They felt that the defect was so severe that it was untreatable. At a friend's suggestion, he had the Mezuzot in house inspected by a scribe. The scribe found that the word "Lev ," Hebrew for "heart," was missing from the text. The family replaced the Mezuzah with a kosher one and the young man was completely cured, leaving the doctors astonished. Not always is the connection between the physical ailment and the spiritual dimension so clear. Sometimes it remains hidden from us, which is why people seek the advice of a Tzaddik, in addition to one's doctor, during a time of illness. Often, the Tzaddik can identify the spiritual source of a physical problem and suggest ways to rectify the situation. When one recovers from a serious illness, his thoughts and prayers should immediately turn to thanking G‑d. Many people begin to observe a mitzva they have not yet performed before, or commit to improving a certain aspect of their spiritual life, as a way of thanking G‑d for giving them more days with which to fulfill their soul's mission, and to make the world a better place. Some have the custom to make a Seudat Hoda-ah, a meal of thanksgiving. During this festive meal, the host and guests share Torah thoughts and words designed to inspire those present to further their Torah observance. Many also give Tzedaka (charity) to a worthy cause or needy person to express one's gratitude to G‑d. Men recite the thanksgiving blessing of Hagomel at the conclusion of the reading of the Torah in the synagogue.